Indian Vedas ~ Amazing ..!! Vedas are most ancient and sacred of world’s scriptures. They reveal the root of all the knowledge and also called as “Pramana Shastra”. They were not written by any human, but was revealed to the human through the ancient Rishis during their super-conscious state known as Tapas. Vedic knowledge is revealed and available to entire humanity and not to a race or religion. 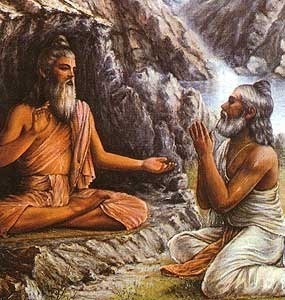 Vedas never have any script and are always propagated through teaching and listening. This method is Karna parampara. These were recorded only when the powers of human faculty were degraded over time. The oldest of them are found in Brahmi scripts carved on stones. These scripts were in pictorial form and the predecessor to the Devanagari script in use now and also called as samskritham. They are recorded on dry palm leaves which is the available printing medium at that time. The earliest partial printed version of veda was brought out by Max muller during 1850AD. The first three are known as “trayi vidya” i.e., “ The triple sacred science” of reciting hymns, performing sacrifices and chanting. This is introduced in Brahmanas as mantras. 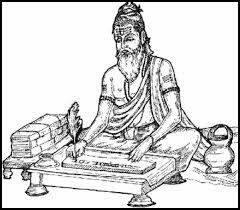 Study of the Vedas forms generally the beginning of an advanced learning in the philosophical and religious literature in india. Among the Chaturvedas The Rig-Veda is primarily concerned with panegyrics to the gods in the heavens, and is the main book of mantras. The Yajur Veda is classified into the Krishna (black) and Sukla (white) recensions. The Yajur Veda contains mainly sacrificial formulae in prose and verse to be chanted at the performance of a sacrifice. The Sama Veda consists mostly of verses from the Rig-Veda set to music for singing during the sacrifice. The Atharva Veda abounds mainly in spells and incantations in verse meant for different lower purposes than the purely spiritual. 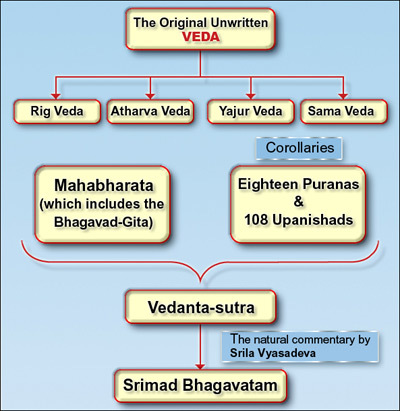 Every Veda has four divisions, called the Samhita, Brahmana, Aranyaka and Upanishad. The Samhita portion of the Vedas embodies the hymns or prayers offered to deities, as already mentioned. The Brahmanas are the ritualistic portion of the Vedas which expatiate on the details of performing sacrifices. The most famous and costly of these sacrifices are the Rajasuya, Asvamedha, Agnishtoma and Soma Yaga, undertaken either for earthly sovereignty or for heavenly joy. There are many minor sacrifices for the performance of which directions are given in the Brahmanas. The mantras of the Samhitas are supposed to be recited in the sacrifices, mainly. They can, however, also be used as pure spiritual exercises in prayer and meditation, which aspect received emphasis in a development that led to the philosophic mysticism of the Upanishads. Vedic Astronomy defines our scientific approach in those days itself. 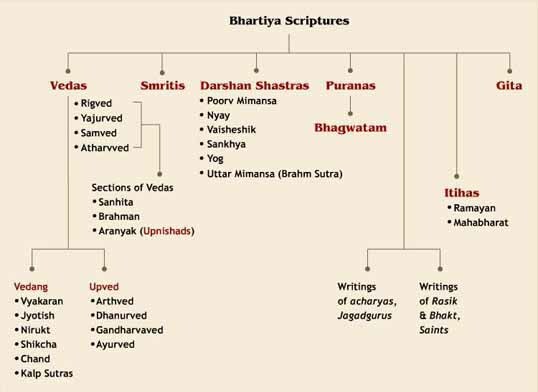 Though it will be never possible for me to explain the Chatur Vedas in short, I wish to share small info on them mentioning their prime importances. Rig Vedam is the oldest of all the Vedas. All the Vedas are based upon it. It consists to a large degree of various hymns from it. It is the oldest book in Sanskrit or any language in Indo-European Language. Its date is debatable. Many great yogis and scholars who understood the astronomical references in the hymns, date the rigveda as before 2000BCE. Even the Vedic teachings Bhagavad Gita ( Lord Shri Krishna teaches the role of him in his play), also applies primarily to Rig Veda. This is the book of mantra. Most aspects of the Vedic science like the practice of Yoga, Meditation, Mantra and Ayurvedam can be found in the Rig Veda. Sama Vedam is the combination of Sama melody and Veda knowledge. Sama Vedam can be said as the reduced version of Rig Vedam. It consists of various hymns of the Rig Veda put to a different and more musical chant. The hymns in it are used as musical notes. Vedic scholars defines the relation of Sama Vedam and Rig Vedam in a very simple manner.The Sama Veda represents the ecstasy of spiritual knowledge and the power of devotion. The Rig Veda is the word, the Sama Veda is the song or the meaning. The Rig Veda is the knowledge, the Sama Veda its realization. Hence the two always go together like husband and wife. The Rig Veda is the wife and the Sama is the husband. Humans are inspired to translate good thoughts into action. Yajurveda inspire humans to walk on the path of Karma. That is why it is also called as Karma-Veda. The spirit of the Yajurveda lies in those mantras that inspire people to initiate action. Gayatri Mantram is one of the hymns from Yajur vedam. There are two major groups in this vedam, known as “Black”(Krishna) and “White”(Shukla). Shukla Yajurvedam seperates the samhita from its Brahmana (the Shatapatha Brahmana), the Black Yajurvedam intersperses the samhita with Brahmana commentary. Of the Black Yajurvedam four major recensions survive, they are Maitrayani, Katha, Kapisthala Katha, Taittiriya. It was the main Veda used by the priests in ancient India and has much in common with the Egyptian Book of the Dead.Its deities are the same as the Rig Veda. The purpose of the ritual is to put together and recreate within ourselves the Cosmic Man or Indra. The ritual is to recreate the universe within our own psyche and thereby unite the individual with the universal. Its series of sacrifices culminate in the Atmayajna or the self-sacrifice wherein the ego is offered up to the Divine. While the lesser sacrifices win the lesser worlds, the Self-sacrifice wins all the worlds and gains the greatest gift of immortality. 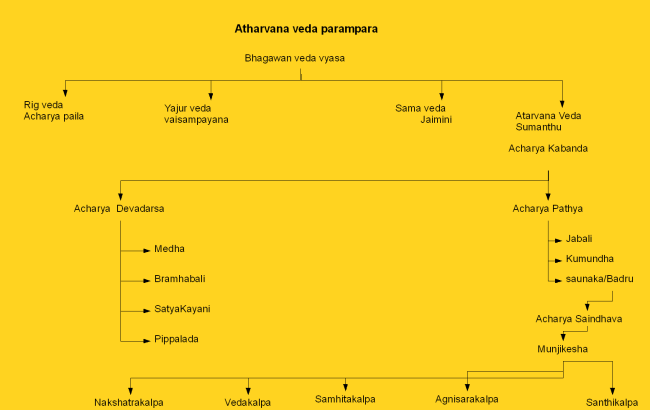 Atharvana vedam in importance is next to Rig Vedam, But it is different from the first three veda’s. The text in this belongs to Atharvan and Angirasa poets. Some parts of Atharvana Vedam are older than the Rig Vedam though not in linguistic form. The first part in it mainly consists of spells and incantations, concerned with protection against demons and disaster, spells for healing the diseases, also for long life and spells to fulfill various desires or aims in life.Athar is the Persian name for fire and Atharvan means the fire priest. Vedas cover all the parts of human life and defines a line to live in it. 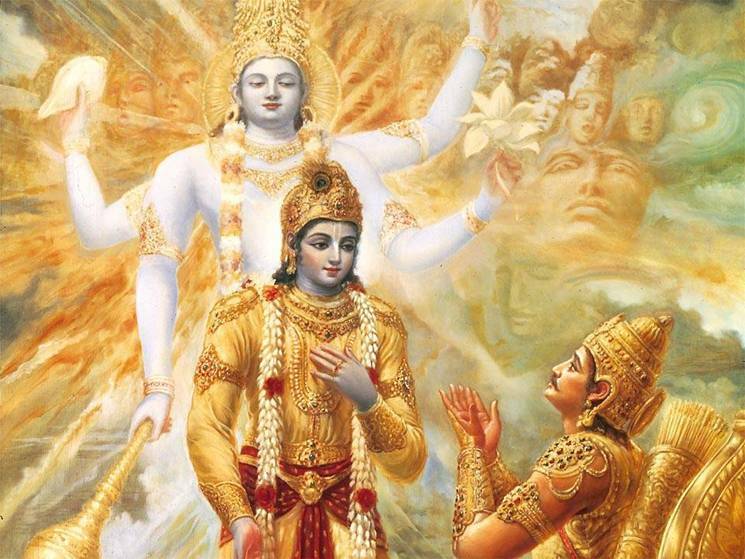 It consists of Bhagavad Gita, Puranas and Upanishads. Knowledge in vedas is the greatest asset ever provided to any Indian from our ancestors and the knowledge in our mother land is marked to infinite with it. Yet they are ignored by us only and hence makes us to seek help from the people who made few copies of pages in our Vedas. Our Vedas have the greatest significance in India, so Lets respect them, Learn them and share them. Excellent info-loved to read it.